Apart from their practical function, vessels like vases and amphorae were used as mediums of (hi)story-telling in the times of Greek Antiquity. The attic vase painting was used to codify and thereby communicate political, as well as social and cultural events on the vessel’s walls for future generations. The political system of the ancient greeks is often understood as the basis for our western concept of democracy of today. 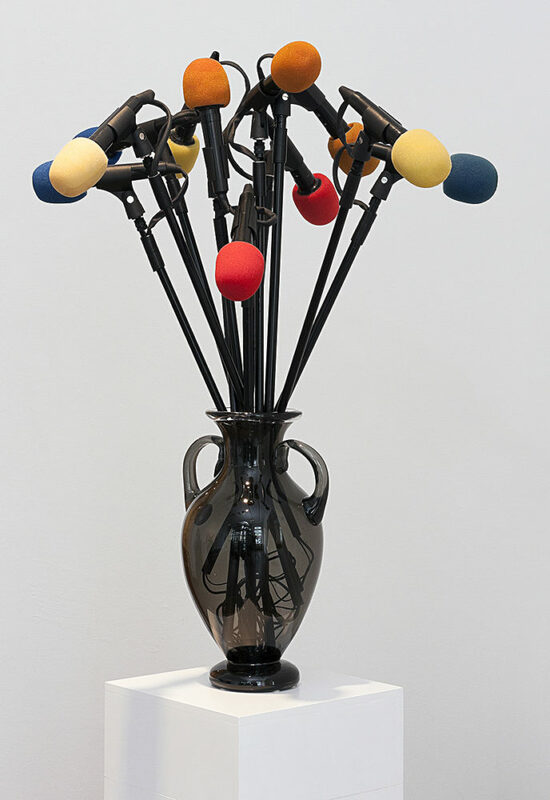 The auditive sculpture »bouquet for reconvalescence« gives reference to the attic (greek) amphorae on the one hand, and, on the other hand, reminds us of bouquets of flowers prepared for solemn (political) events. Approaching the ›Bunch‹, one can hear buzzing noises from the microphone-heads. 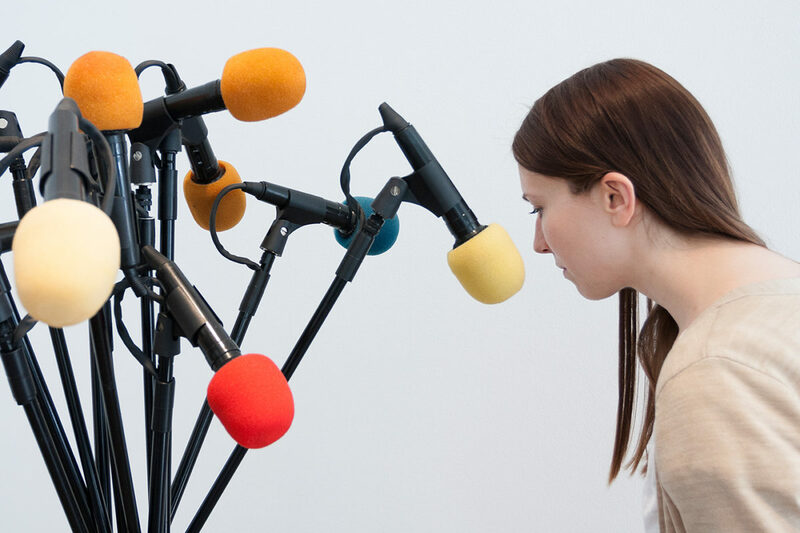 These are from different people who were asked to imitate what they think a bee’s buzzing sounds like. 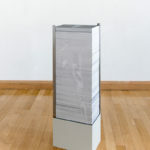 The sculpture questions the role of the individual within an increasingly mediatised society and its consequences on participation and opinion.